Coolest Projects is a world-leading showcase that empowers and inspires the next generation of digital creators, innovators, changemakers, and entrepreneurs. This year, for the first time, we are bringing Coolest Projects to the UK for a spectacular regional event! Project registrations for Coolest Projects UK are now open. 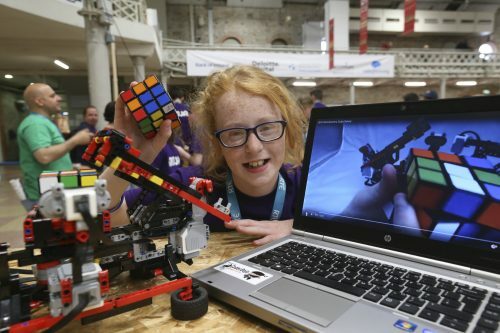 All young people in the UK who are involved in CoderDojo, Code Club, a Raspberry Jam, or another Raspberry Pi initiative can register their idea to apply for their free space at the event. To register your project, to book tickets, or to find out how to volunteer to help us make the event run smoothly, head to the Coolest Projects UK website.